Pop-up flower business will operate temporary space between ORO Di Oliva & Commission Row Produce during the Valentine’s season. We are excited to announce the addition of Flowers for Dreams as a temporary vendor offering locally crafted flowers during the Valentine’s Day holiday. Flowers for Dreams will operate a grab n' go booth on the market’s 1st floor. Flowers for Dreams plans to open its temporary location at the Market on Monday, February 11, and will maintain the space through Thursday, February 14. 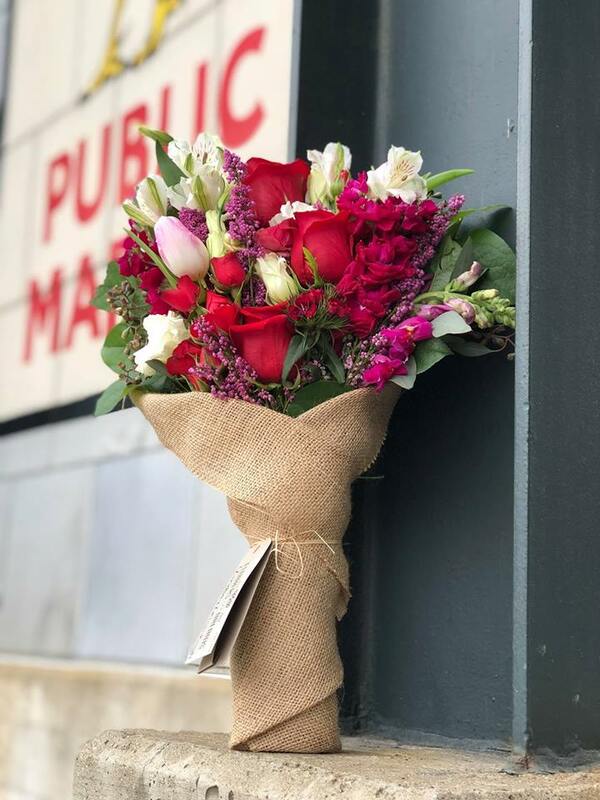 Flowers for Dreams is an online flower delivery service specializing in locally crafted, artisan bouquets that launched their Milwaukee operation in 2017. As part of the company’s unique business model grounded in giving back to those in need, Flowers for Dreams donates 25 percent of profits to Milwaukee charities. Stems are hand curated at local markets and regional farms to create fresh, unique arrangements for every customer.